Want to see all the technologies used by cineplex.com? 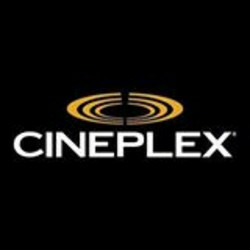 Cineplex Entertainment is the largest motion picture exhibitor in Canada and owns, leases or has a joint-venture interest in 162 theatres with 1,639+ screens serving approximately 77 million guests annually. Headquartered in Toronto, Canada, Cineplex operates theatres across Canada and is the exclusive provider of UltraAVX™ and the largest exhibitor of digital, 3D and IMAX projection technologies in the country. Proudly Canadian and with a workforce of approximately 10,000 employees. For a quick look at additional technographic info on cineplex.com or any domain on the web, download our Chrome Extension. Check out our help article to see how Datanyze Insider can help you.